Lately, I’ve been really enjoying smoothies for lunch. I love them because they are so quick and easy to make. The best is to make them at home, of course, as you know exactly what you are putting in them and you can easily adjust flavours and sweetness as needed. I make my smoothies at home just before I drink them (I work from home) but you could easily make them in the morning and take them with you to work in a flask or a smoothie cup. 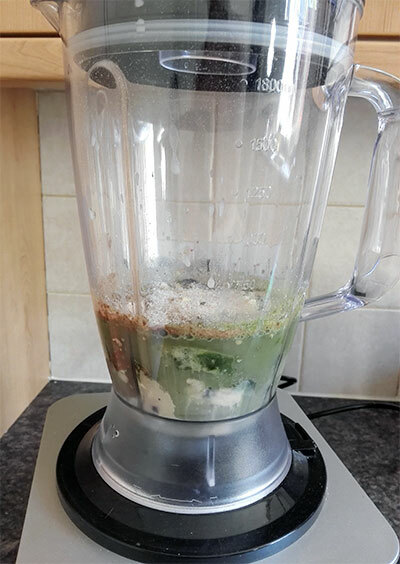 You can make your smoothies really nutritious by adding various superfoods and green powders and in this way you will consume extra vitamins and minerals in the most natural way. Smoothies are amazing for those people who normally struggle to meet their daily quota of fruits and vegetables. I used to have this green smoothie for lunch but now I’ve changed the recipe a little bit and added some protein powders as I’ve been working out more lately but also because previous calorie counting experience revealed that I wasn’t getting enough protein with my diet. I love having my smoothies with banana as it adds a nice sweetness and texture to them but if you don’t like bananas you could try using other fruits such as pear, dates, mango or peach. For me, bananas are great as they are a good source of potassium and magnesium – both minerals are great for those who exercise regularly as they can protect them from muscle cramps at night and during workouts. When choosing a protein powder for the smoothie, make sure it doesn’t have a long list of ingredients, you need something simple such as brown rice protein and pea protein powder. 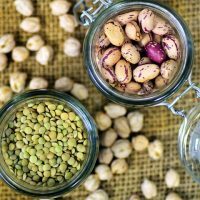 I’ve been mixing brown rice and pea protein together as this combination can provide good levels of all essential amino acids that your body needs – this combination is vegan and is actually a comparable alternative to animal-derived protein powders such as whey. Adding protein powders to your smoothies is not only great for recovery after the exercise, it’s also great for weight loss. 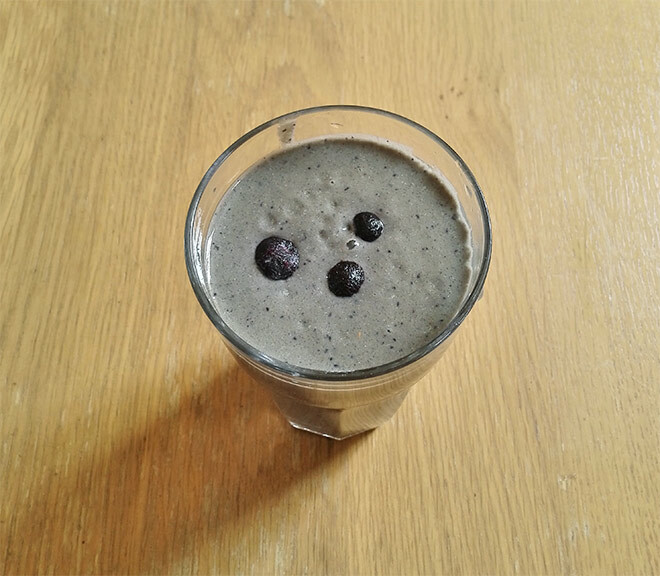 This high-protein banana blueberry smoothie that I’ve been having lately (recipe below) keeps me full for a long time. I don’t feel hungry for at least 3 hours and I don’t feel like snacking in between meals either. This is great because it means I consume fewer calories in one day and over time this is helping me lose weight. 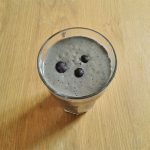 This vegan smoothie is not only high in protein, it’s also bursting with antioxidants which come from cacao powder, blueberries and supergreens powder. Great for fighting those free radicals which contribute towards disease and ageing! 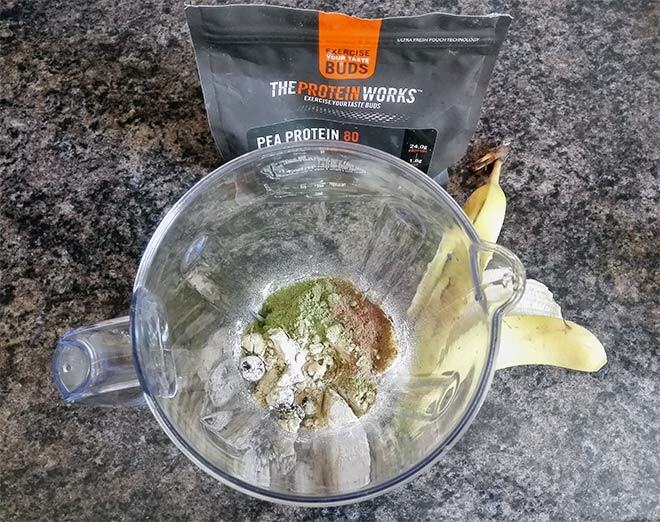 If you are interested in buying protein powders for your smoothies, check out The Protein Works where I buy my protein powders from – you can get 25% off with a code BEHEALTHY25. Slice banana into the blender and add a handful of blueberries. Add your protein powders and the rest of the ingredients. Blend until smooth. Taste it and add more liquid if desired. You can make your smoothie without any plant-based milk if you want, just use water. Also, if you like, you could skip blueberries. I add them for extra antioxidants which help with general health. 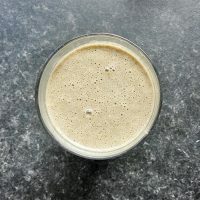 Finally, you could replace psyllium husk with milled flaxseeds but in this case you need to reduce the amount of liquid you use as psyllium husk makes the whole smoothie thicker. I add psyllium due to its fibre content and to help with digestion. What is your favourite smoothie? Do you like adding supergreens powders to your smoothies?